Our family celebrates Christmas with a traditional seafood dinner on Christmas Eve, as most Italians do. 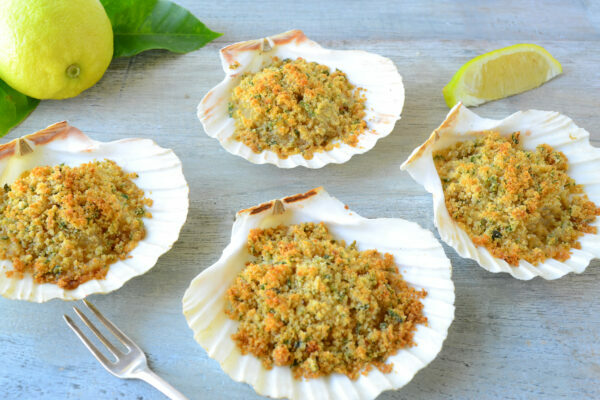 This year I decided to make baked scallops instead of the usual stuffed clams my kids love. Here’s the reason why. As I was cleaning out my kitchen drawers the other day, I found some natural baking scallop shells that I have never used. I purchased them at Bed Bath and Beyond about ten years ago. Even though they were taking up valuable kitchen space, I couldn’t bear throwing those pretty shells out. So, I was inspired to make this scallop dish instead. This is one happy woman because I won’t be cleaning and opening all those messy clams for Christmas. Instead, this is a heck of a lot easier and less mess! You can double or triple the recipe for a large crowd. No worries if you don’t have the shells, you can place the scallops in a single layer in a small baking dish and bake as directed. Preheat oven to 400 degrees F. Line the bottom of a baking sheet with crinkled up aluminum foil. This helps to keep the scallop shells from sliding. Drain the scallops in a colander. 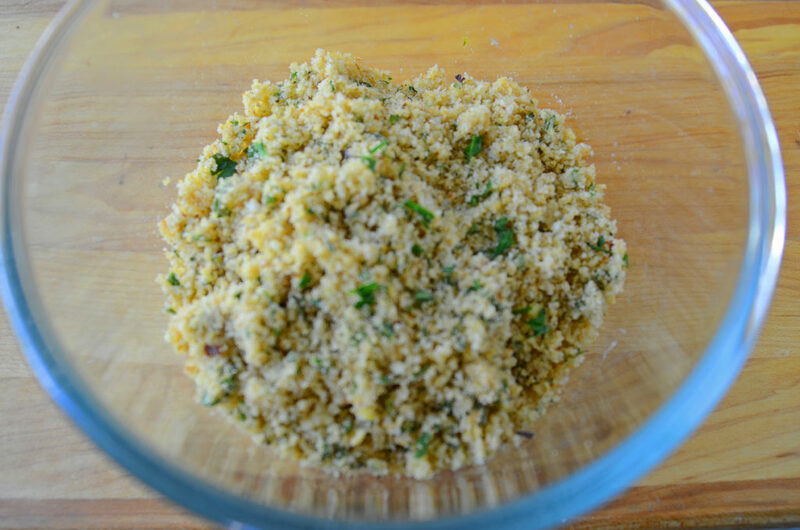 Combine the bread crumbs, oil, cheese, marjoram, garlic, red pepper, salt, and black pepper in a small bowl. 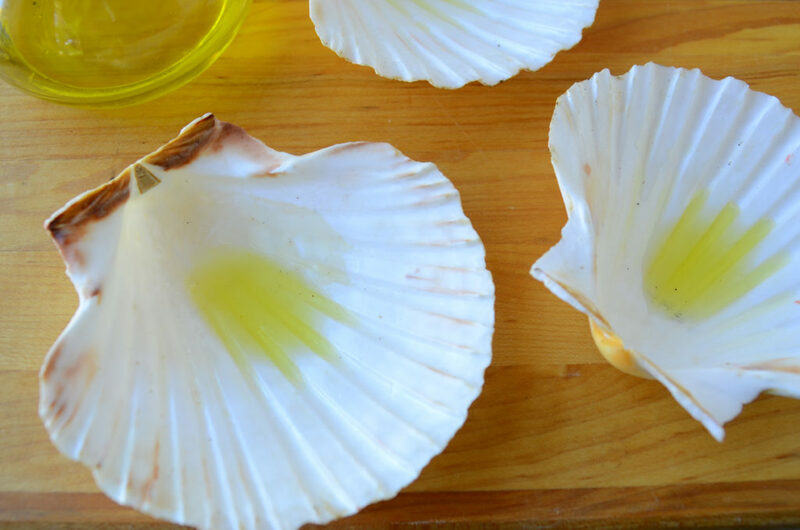 Place 1/2 teaspoon of olive oil in bottom of each scallop shell. 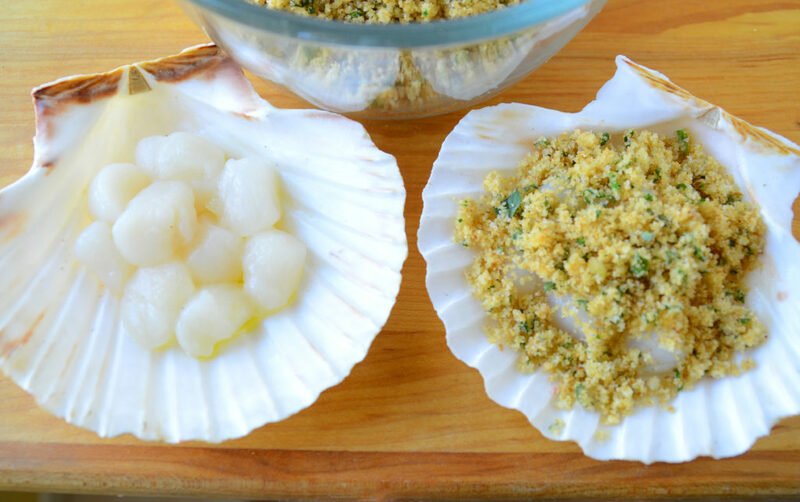 Divide the scallops equally and place in the shells. Spoon the bread crumb mixture evenly on top of the scallops. 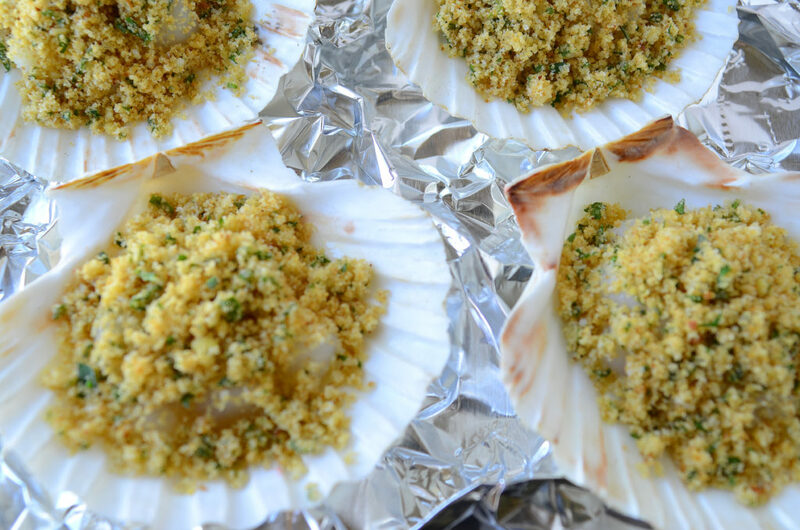 Place the scallops on the baking sheet and cover the top with foil. Bake for 10 minutes. Remove the foil and bake 10 to 15 minutes longer, until the breadcrumbs are golden brown and the scallops are cooked through. Scallops will turn white when done. Serve with lemon wedges.